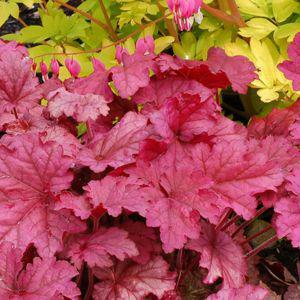 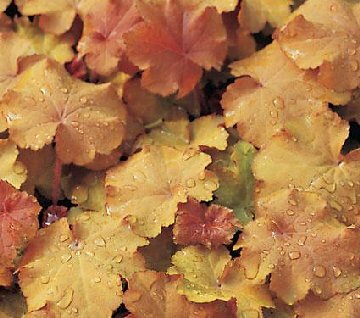 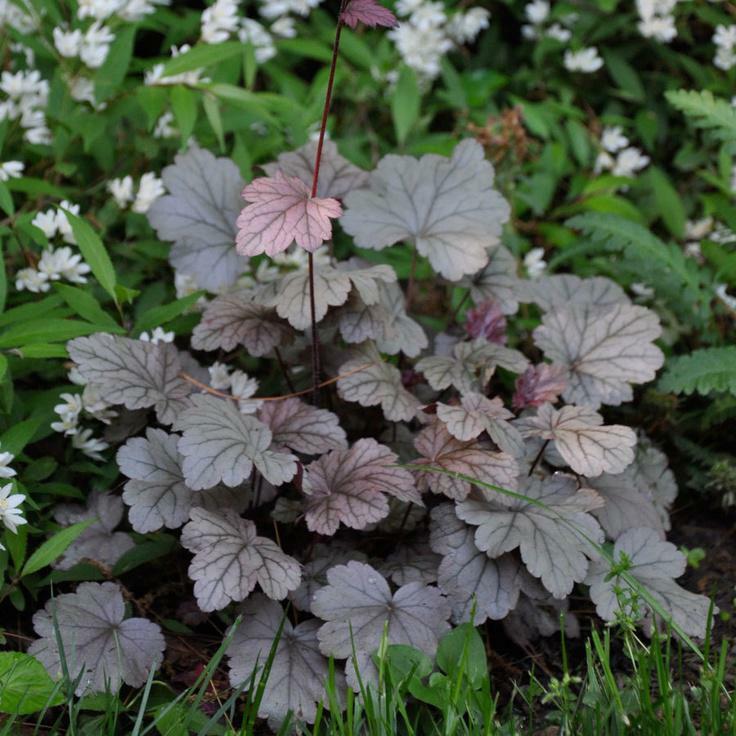 Heuchera (Coral Bells) are mounding perennials with heart shaped rounded , or triangular lobed leaves. 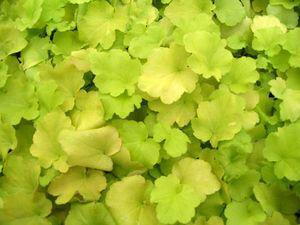 They tend to be evergreen in most climates. 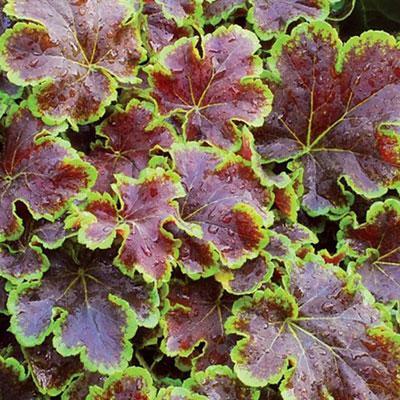 Sprays of tiny flowers ranging in color from cream to red are produced on whispy stems that are excellent for cutting. 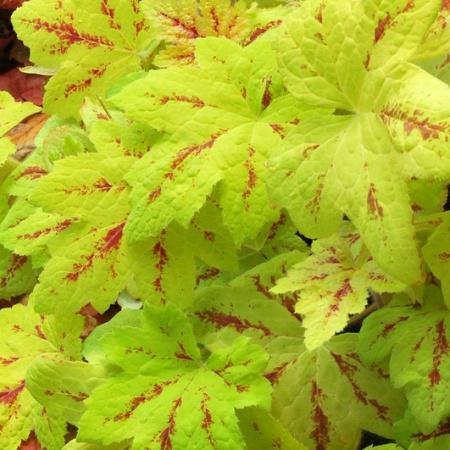 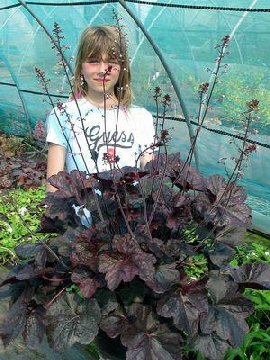 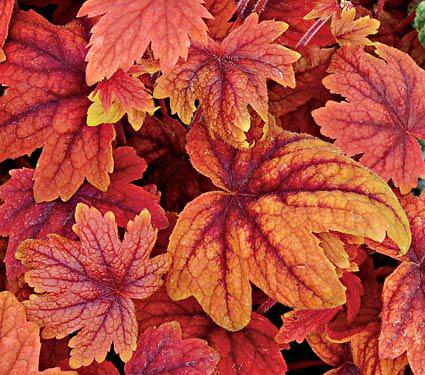 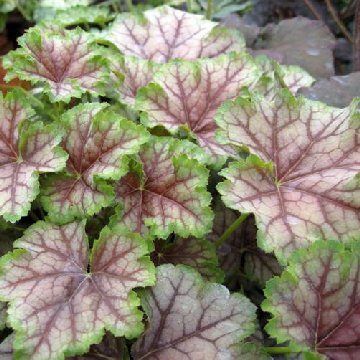 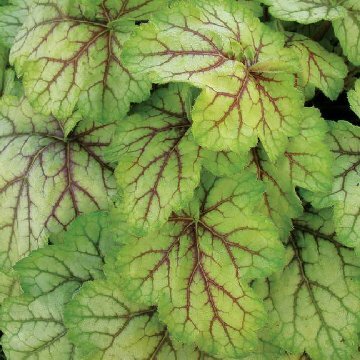 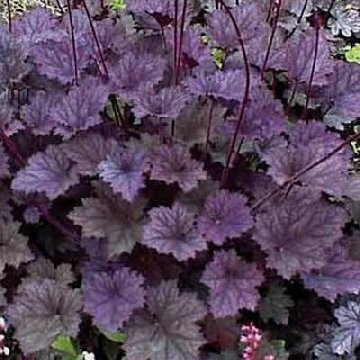 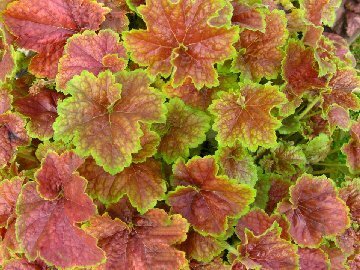 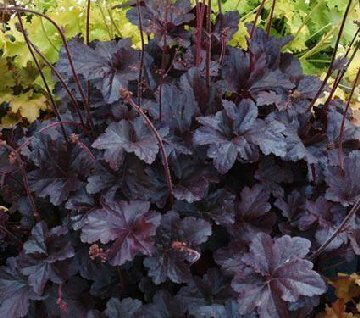 Heucheras are easy to grow in flower borders, rock gardens, or containers. 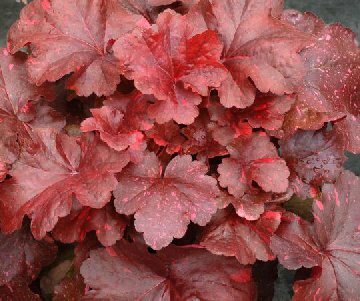 When grown in partial shade (preferably afternoon shade) they are most vigorous & have the strongest coloration. 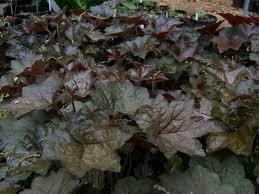 Plants are heat & humidity tolerant. 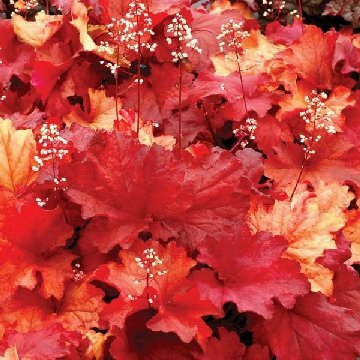 Start with good well draining soil. 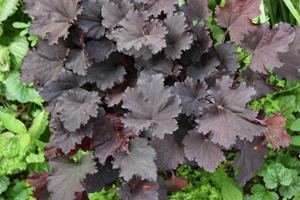 Following are some of the great varieties available.